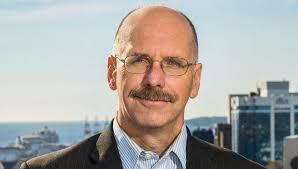 We at Entrevestor were deeply saddened Monday to learn of the passing of Ron Hanlon, the President and CEO of the Halifax Partnership. The city’s economic development body announced that Hanlon died Sunday after a brief illness. Hanlon was a true champion of the innovation community in Halifax, and saw startups and tech companies as an engine for growth in the city. It was all part of his mission to promote the city and region and encourage its economic development. Hanlon joined the Partnership in the summer of 2015, returning to his native Halifax after serving as President and CEO of Price Mechanical (PMI) in Minneapolis, Minn. PMI is an independent wholly owned subsidiary of Price Industries, a leading North American Air Distribution company in Minnesota. From 1997 to 2013, Hanlon held various leading roles at McQuay International (a subsidiary of Daikin Industries Ltd.), a global corporation that designs, manufactures and sells heating, ventilation and air conditioning (HVAC) products and systems. In 2007, Ron was named President and CEO and led the merger of Daikin Industries and McQuay International and was responsible for all day-to-day business operations of the North American businesses. As the top executive at the Halifax Partnership, Hanlon developed the Sell Halifax plan, a strategic campaign designed to promote the city and attract immigrants, investment, and new business. He championed the creation of an Innovation District to better leverage our density of universities, hospitals, innovative companies, and entrepreneurs. He sharpened our efforts on youth retention and played a key role in the Atlantic Immigration Pilot. A graduate of St. Mary’s University, Hanlon’s contributions to the community extended beyond the business world. He sat on the Board of Feed Nova Scotia. He was a member of the Consider Canada Cities Alliance. And because Halifax is the only Atlantic Canadian city in that alliance, Hanlon led the creation of the Atlantic Canada Economic Coalition in partnership with Saint John, Moncton, Fredericton, Charlottetown, Sydney and St. John’s to promote collaboration amongst Atlantic Canada’s largest urban centres. “Ron was a colleague, a mentor, a leader, and a friend,” said Hebb. “He spurred us to a higher level of ambition. And he lifted us to a level where such ambition is achievable. His passing is a painful loss. We shall strive to honour his memory by sustaining his positive sense of urgency and his unbounded optimism for our city.